Overwhelmed and loaded with school related work, he notices it’s no good to be backed up on it because he has so much to do. The constant slacking off and now more than ever, has caught up to him as he becomes more helpless. It constantly affects his grades and work ethics but it has a greater impact on him because he is valedictorian. His name is Eduardo Martinez. Sleep. An essential factor of life. It plays an important role in physical health. It heals and repairs the heart and blood vessels. Sleep deficiency causes an increased risk of heart disease, kidney disease, high blood pressure, diabetes, and stroke. High School. A place where students come to socialize and make friends but most importantly to study. Although not everyone comes for that main purpose, the people who do are among the several that when it comes to senior year, everything seems more difficult than how it normally was. The intense suffocation of restlessness and the tense moments a student feels is critical. Senioritis tends to appeal to only second semester seniors. Many students are at risk of illness and self destruction. Among them is a girl who knows how to procrastinate better than anyone else. Having bad grades is the least of her worries, as she has figured out second semester isn’t weighed as heavily as first semester. For colleges, they often only look to a students first semester grades to finalize a decision of admission. Many struggle to keep up with their grades as many events overwhelm them. “I have bad grades and I keep getting lazier,” Guadalupe Lopez said. Students like her lose sleep and become stressed but have established priorities to focus and do better in school. They promise teachers they will try their best to become a better student but find it hard to self-motivate and push forward. “I have senioritis, as of right now [Thursday] I have to do a five page essay that’s due Friday and I haven’t started it,” Juan Franco said. Students tend to only realize senioritis is hitting them when they see and notice the results of it, grades dropping. “Last semester my A’s went to B’s and C’s and I’ve been a straight A student throughout High School,” Franco said. He wishes he does his homework when he sees his grades scale up the alphabet. Although there are many people who stress over their success, there are students who have just been with the same routine of senioritis throughout high school. The tendency of slacking off and constant procrastination makes the transition of a high school senior to a college student more difficult. The college freshman year is already difficult enough to students with excelled grades and attendance so imagine those still with senioritis. The impact it has on college acceptances can be very crucial and unknown as to what the colleges can do in certain situations. Many students think their college admissions are done with after the acceptance letter arrives. However, colleges include a clause that allows them to retract their offer from the student. Many colleges don’t receive final grades until June or July, so if the final report doesn’t match with the information in the application, students may find they’ve lost their spot at the college that they wished and dreamed they had attended. Senioritis can cause many deficiencies in a person. Stress being the number one effect. “When I am backed up on work, I feel like I will not be able to finish which causes more stress and sometimes anxiety,” Ramos said. Many problems are created by the horrible senioritis. Creates loads of health problems but the question still stands, what can be done? For high school senior, Rosa Muñoz, it has not been easy. She pushes for things last minute and chooses sleep over work. The constant decision every high school student is faced with. 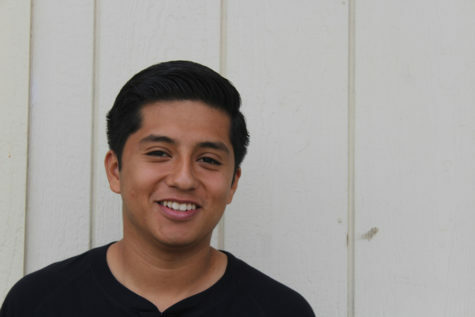 “I’m always tired and lack motivation to do my work and to try and find ways around it,” Muñoz said. Many teachers do not know the constant struggle students have with all the homework they give them especially since most of the students are athletes and have practices almost everyday after school and get home really late. They squirm around and fight for their grade to try and find a cure for this unhealthy tendency. Many set goals for themselves and try to start off small but later find themselves in a constant repetitive situation. Senior year is a time where students should celebrate and cherish their last years in high school, as tennagers because as soon as they graduate, they become young adults. Senioritis can most likely hinder students from actually enjoying this year and causes long term as well as short term effects. “Uhh if someone finds a cure, let me know because it’s easy to say, do things on time but I can’t seem to find motivation to do it,” Muñoz said.